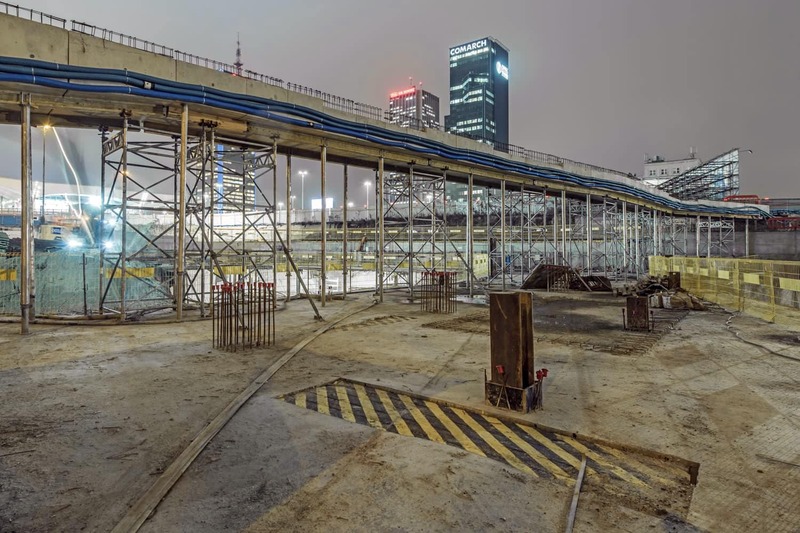 HB Reavis is simultaneously developing three buildings on the largest construction site in Warsaw city centre. 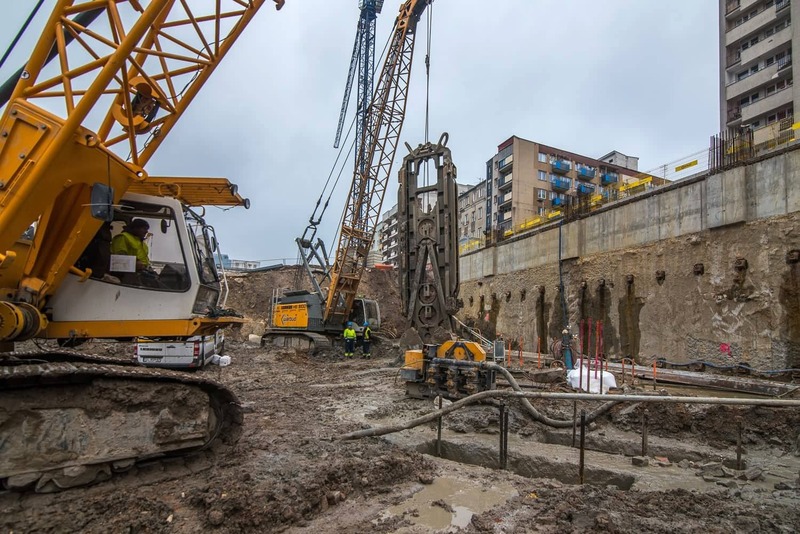 The works on the diaphragm walls that will envelop the future basement storeys are nearing completion and a viewing platform has been opened for pedestrians to come and admire the spectacular excavation in progress. A construction team of around 200 is currently building the below grade part of Varso Place on the lot next to the Warsaw Central Station. At its peak, this construction will have as many as 1,000 people working on site every day. Recently, the builders have been joined by a tower crane, the first of eleven to be installed over the next few months. The construction works began by upgrading the city heat networks running under the site, rerouting the local optical fibre networks and dismantling the old underground facilities. That was followed by building the so-called diaphragm walls (reaching as deep as 4-storeys below ground level) and barrettes, i.e. structural elements that form the walls of underground car parks and improve the stability of the building foundation. “So far, we have completed approximately 80% of the diaphragm walls. All of them will be ready in December. 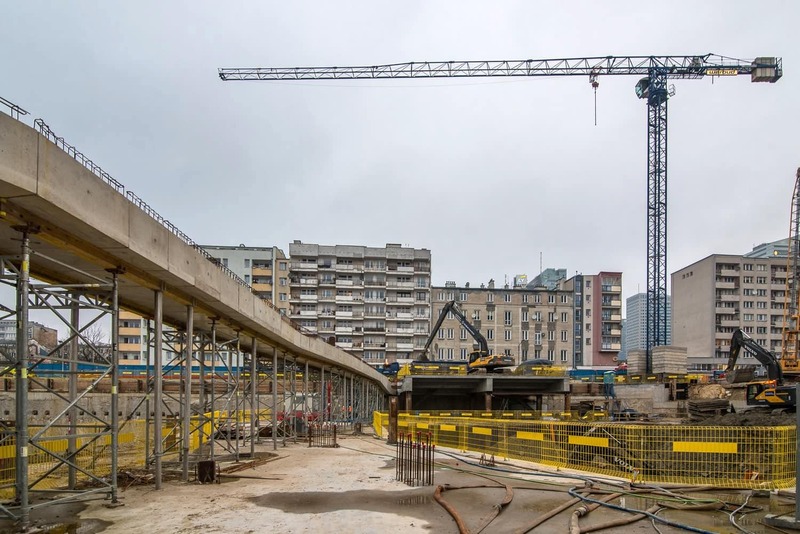 In the next few months, we will begin massive excavations and then build a reinforced concrete slab that will be situated around 19 metres below the ground as well as a 4-storey car park. 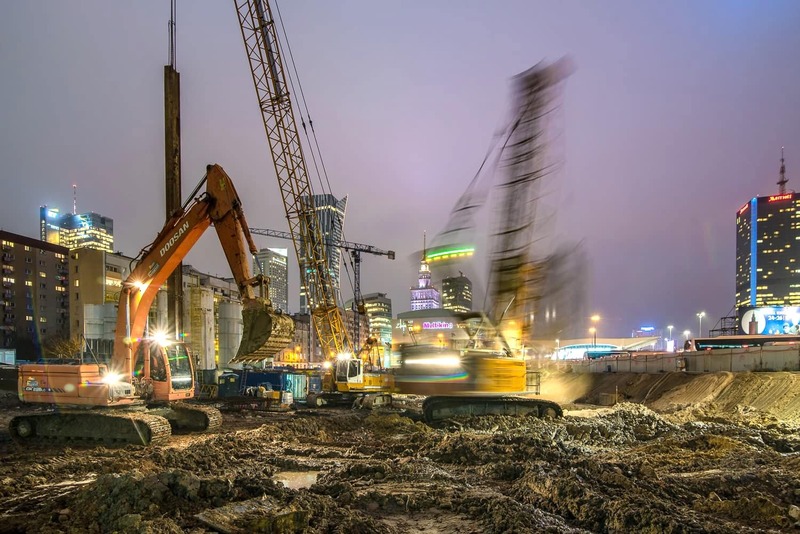 In order to lay the foundations for Varso Place, we need to excavate approximately 240,000 cubic metres of earth – such amount of soil would fit into 3,300 freight cars,” explains Maciej Olczyk, Construction Project Manager at HB Reavis Construction, the general contractor of Varso Place. The construction of Varso Place involves many engineering and logistic challenges. All deliveries are planned in advance using special software that helps coordinate seamless lorry traffic on site, and a nearby buffer car park is also used for that purpose. Another noteworthy aspect of the project is the state-of-the-art, compact site compound which can accommodate the necessary number of subcontractors despite the limited size of the lot. Contractors also regularly measure the groundwater level and survey the neighbouring buildings and the railway track in the cross-city tunnel. In the second half of October, heavy equipment was used to lift a glacial erratic excavated from the Varso Place site. Weighing nearly 60 tonnes, the unusual finding was transported to Pole Mokotowskie, where scientists will determine whether it should become a protected natural monument. 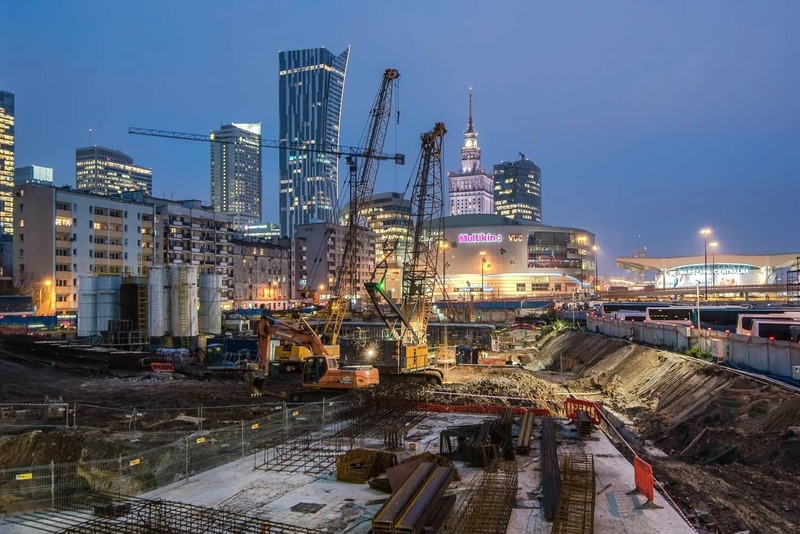 Designed by Foster + Partners, the 230-metre tower will not only be home to comfortable offices but also to a restaurant and an observation deck, both situated at the top and available to all residents of Warsaw as well as tourists. Until the project is completed, they can watch the works in progress from a temporary viewing platform that has just been opened. “We will complete the underground works by mid-2018, reaching the ground level. From that moment on, you will be able to admire the buildings rise as we add new storeys,” Olczyk adds. 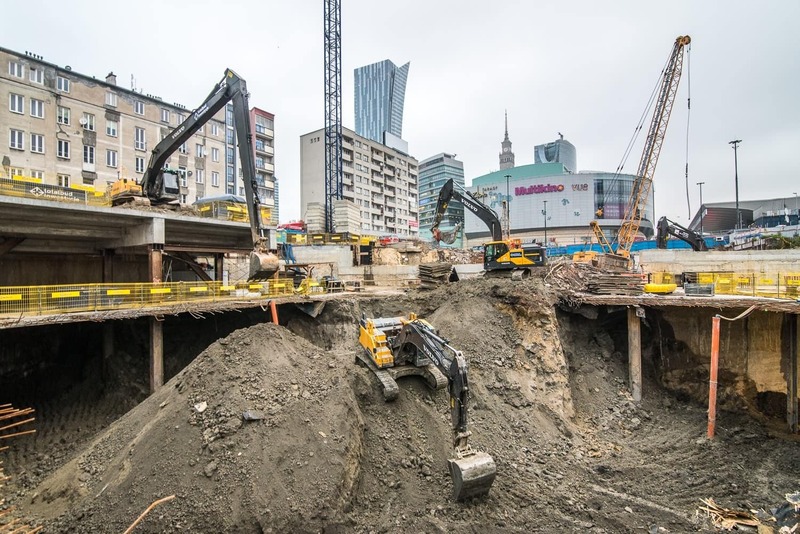 In addition to the tallest tower, the project will also include two other buildings designed by the Warsaw-based studio HRA Architekci, which will be home to offices, a hotel and a covered walkway lined with shops and restaurants situated on the ground floors. The two lower parts of Varso Place will be completed in 2019 and the tallest part a year later. Varso Place boasts Europe’s first WELL Core & Shell pre-certificate, which promotes solutions that have a direct impact on human health and well-being. The project is also in line with BREEAM certification requirements at the highest level labelled Outstanding.